If you haven’t seen it by now, you missed a great episode last night. 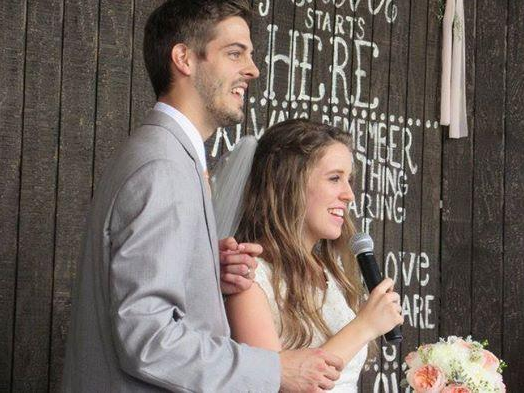 Jill Duggar from TLC’s 19 Kids and Counting got married on last night’s episode. 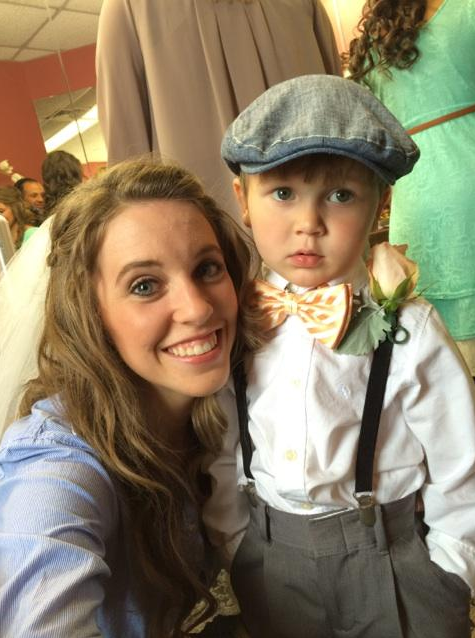 She is now Mrs. Jill Dillard and we’d like to send best wishes and our congratulations to the new Mr. and Mrs. Derick Dillard! Can we say gorgeous?? 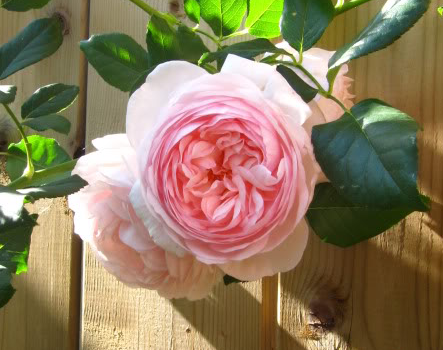 I love that she had the Queen of Sweden Roses incorporated. They are breathtaking by themselves. 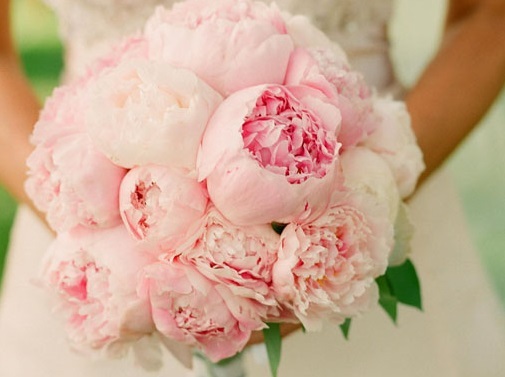 or maybe they were peonies? So, I am an advocate for all things root beer and ice cream. It’s a genius idea! lol It gives the guest an added dessert option, is a cool treat on a hot day at an outside reception, and it tastes freaking awesome. The silver embellished plates with the chalkboard writing was super cute. She had the exact amount of girls and it was such a unique idea. 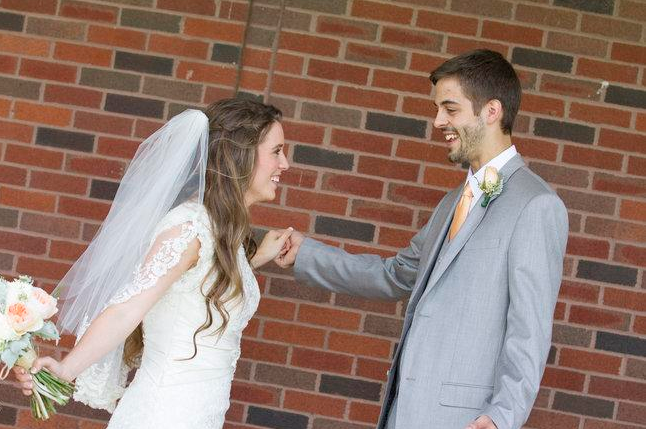 I love the fact that Jill and Derick still set time aside the morning of their wedding to have devotion. Really, weddings are gorgeous but the most important part is the marriage and the covenant that you both are making with God. For them to still stop and thank the Lord for their union in the midst of the chaos was very heartwarming. 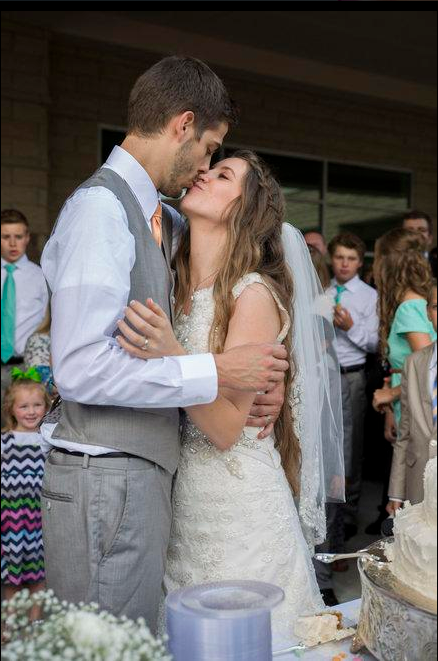 Such a tear jerking moment when Derick found out that his mother was being released from the hospital and was able to attend the wedding. 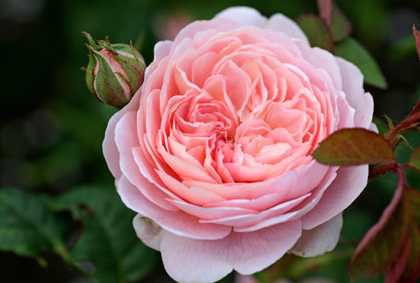 People may primarily focus on the bride during the wedding, but the groom is important as well. It’s a big deal for a man to have his parents by his side. Especially if he’s close with his mother. Sigh…did you cry?? My eyes welled up and I felt the “feeling” in my forehead but no tears dropped. I didn’t get emotional because it was a lovely wedding but because I was basking in the love and remembering when Harvey and I got married. We’ve been newlyweds for 2 1/2 weeks now and I still remember the day and those feelings. The day goes by so quickly, but every wedding is pure perfection. It was a beautiful episode and if you haven’t seen it, make sure you catch it on On Demand. 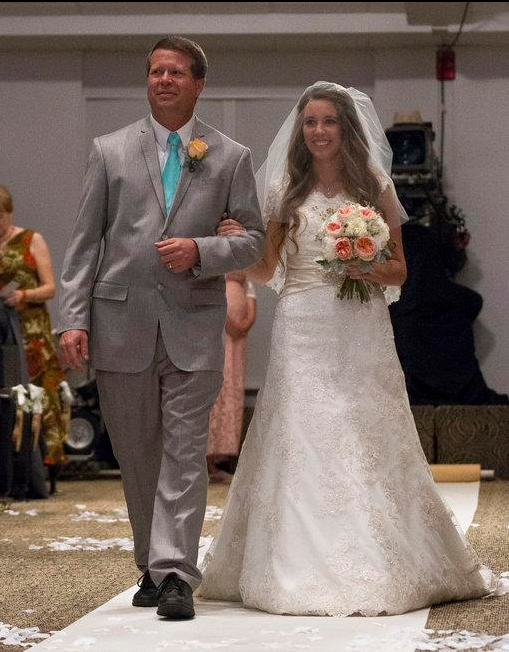 Congratulations to the new Mr. and Mrs. Derick and Jill Dillard!